Via Colleoni is a fascinating, busy thoroughfare leading from Piazza Mascheroni to Piazza Vecchia in Bergamo’s Città Alta (upper town). 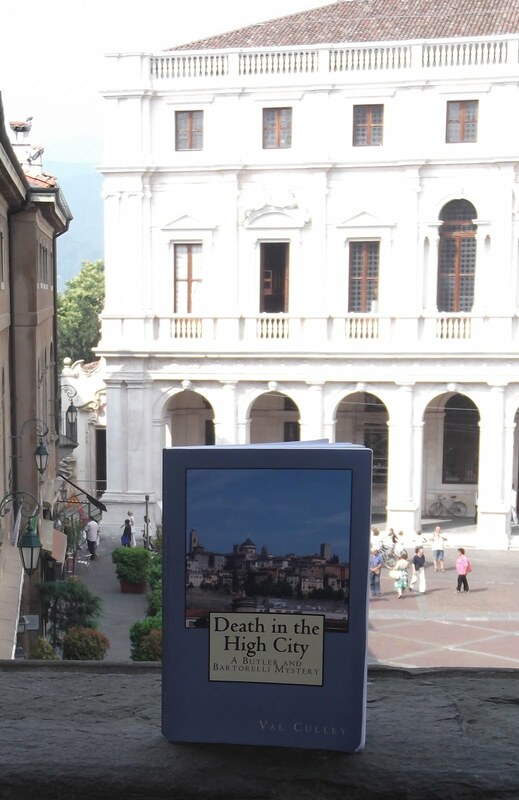 The narrow street is lined with ancient buildings and is steeped in Bergamo’s history. It follows the line of the ancient Roman town plan and up to the 19th century was known as Corsarola. 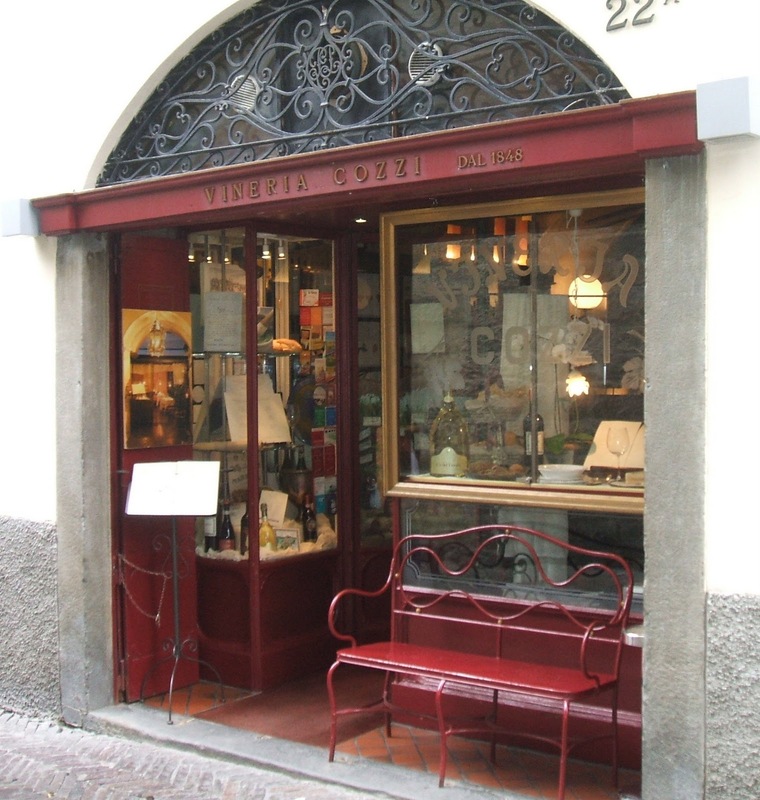 Via Colleoni is usually crowded in the evenings with people enjoying the passeggiata as there are plenty of shops selling food, books and clothes as well as a good selection of wine bars and restaurants. On your left hand side near the top of the street is the 15th century church of Sant’Agata del Carmine, which contains some important 16th and 17th century paintings. Further down you will be tempted by the displays of fresh pasta, and cakes in the windows of food shops. 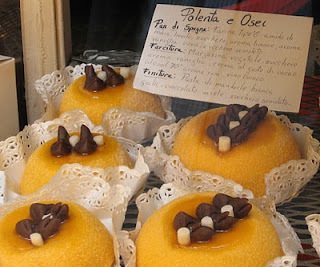 Look out for the Bergamo specialities of casoncelli alla bergamasca, a type of ravioli, and polenta e osei, a cake resembling polenta topped with birds made out of chocolate. A traditional meeting place for Bergamo people since 1848, Vineria Cozzi is behind the red door at number 22 on the right hand side, serving a wide range of wines and traditional Bergamo dishes. At numbers 9 to 11 on the left hand side is the house where Bartolomeo Colleoni, from who the street takes its name, founded his charitable institution, Luogo Pio della Pieta in 1466. At number 4 on the right hand side is the Teatro Sociale, which opened in 1807. At the height of its popularity the theatre could seat 1300 people. It closed in the 1920s but has since been restored and is used for cultural events. Near the end of Via Colleoni there are some small, independent fashion shops to browse in on both sides of the street. 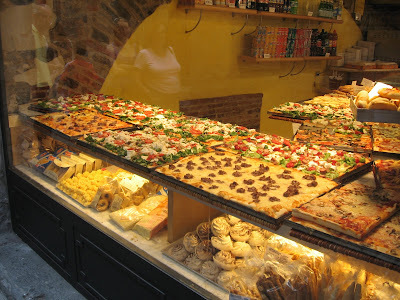 On the left there is also a take away pizzeria and bread shop, Il Fornaio, with an impressive window display to marvel at. You will then pass the side of Il Sole hotel and restaurant before you emerge into the dazzling splendour of Piazza Vecchia.